Skywatch Friday – A great new beginning ! | Highway - the only way ! Skywatch Friday – A great new beginning ! Every time you watch the sunrise, it seems to promise you a new day, a great new beginning. The sunrise inspires one of the most essential feelings of human beings – Hope ! 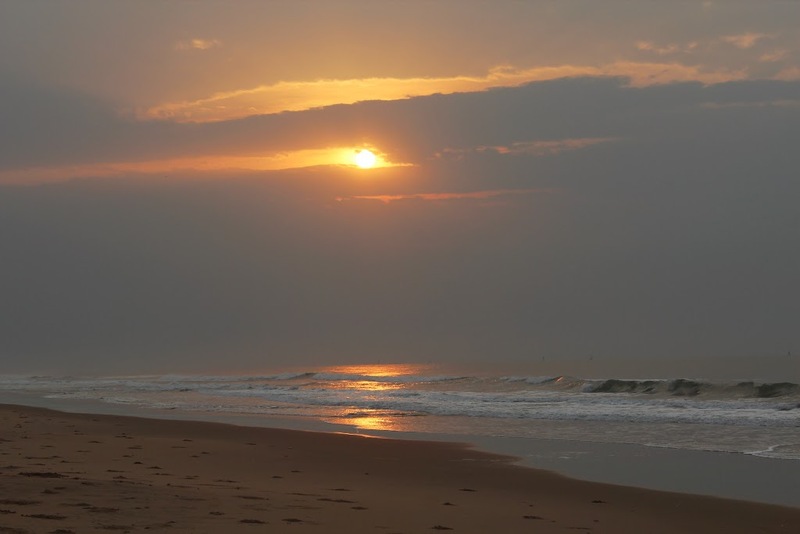 On that philosophical note, in this week’s Skywatch Friday, we present to you the matchless combination of sunrise over the sea at Chirala, India ! Beautiful sunrise over the ocean!